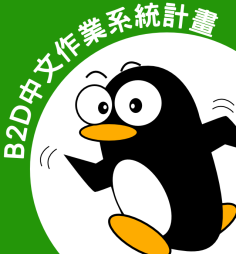 Posted 2017-08-06 by OLS3 & filed under B2D Linux, B2D 桌面版 Comments: 1. Posted 2017-08-04 by OLS3 & filed under MariaDB, OB2D, phpmyadmin Comments: 0. 1. 設定資料庫管理密碼: 2. 安裝 phpmyadmin 請參考 : http://b2d-linux.c ..
Posted 2017-07-31 by OLS3 & filed under OB2D, VPS Comments: 0. Vultr 和 Linode、DigitalOcean 等 VPS 供應商齊名， 今 OB2D Linux 2 ..
Posted 2017-07-23 by OLS3 & filed under Docker, OB2D Comments: 8. OB2D Linux 2017 V1.2 是 Docker Ready。。。 用法 step1：啟用 dock ..
Posted 2017-07-22 by OLS3 & filed under Docker, OB2D Comments: 0. 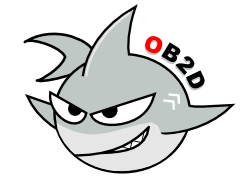 OB2D Linux 2017 v1.2 製作中… 瀏覽..
Posted 2017-07-22 by OLS3 & filed under OB2D, OB2D - 套件, 修正臭虫 Comments: 1. 此檔修正 ob2d-init 在設定資料庫密碼時費時太久的臭虫。 安裝方法： sudo apt-get upd ..
Posted 2017-07-02 by OLS3 & filed under OB2D-核心 Comments: 6.
sudo apt-get update sudo apt-get install linux-image-4. ..
Posted 2017-04-30 by OLS3 & filed under OB2D, OB2D Dragon Server, Xfce Comments: 12. Linux kernel 4.9.0-2-amd64 Apache2 : 2.4.25-3 PHP7 : 7. ..
Posted 2017-04-30 by OLS3 & filed under OB2D-核心 Comments: 0. Posted 2017-04-16 by OLS3 & filed under OB2D-核心 Comments: 0.